Within the confines of my mind exists an artist’s playground. Pastels swirl around me like a tornado – blues, pinks, and silver whirling by. I dare not reach my hand out for fear of disturbing the chaotic beauty moving in perfect motion. I lift my head and put pen to paper. My hand flows across the page, and the colors blink and flash. As I write, the colors bend and form to mirror the setting my creativity expressed. The ideas flourish as my pen leaves an impression on both the material and my spirit. The story grows in complexity, so the lovely colors call upon their hue family to enrich the scene in my imagination. The setting deepens in contrast with each descriptive word choice. As I create a character, a form becomes clearer. Once a grayed silhouette, now the figure enhances in detail. The long brown hair flows down her back then magically shortens when I edit my adjective. As I waiver on her eye color, the face in my mind changes accordingly. Additional characters enter the picture and the page, adding conflict and visual clarity. 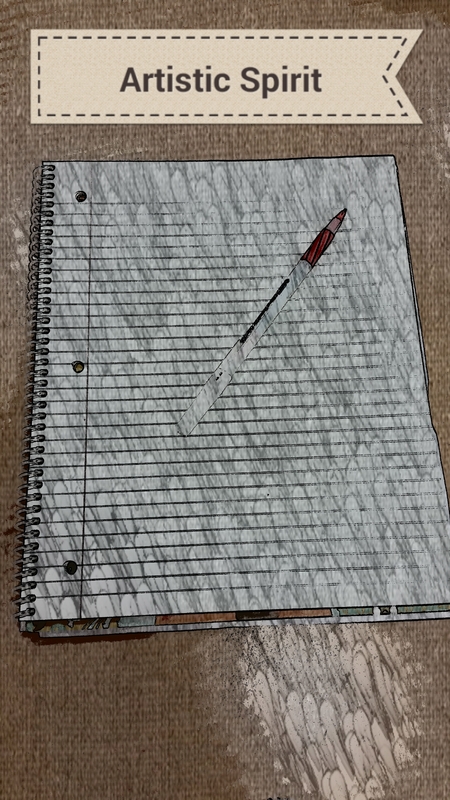 As the scene unfolds in my imagination I hurry my pen to keep up. It’s only after the image fades do I smile at the written creation at my fingertips.